Here is our section with news and events in Skiathos. We write about the most important news in Skiathos that a tourist might like to know and also about events that take place there, including festivals, art exhibitions, performances and more. Have a look in our events and check if there is something interesting to attend during your holidays in Skiathos. 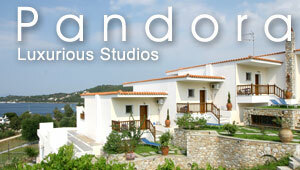 Do you organize an event in Skiathos? Have you noticed some news about this location that is worth spreading? Feel welcome to submit them in Greeka.com. In order to add your news, you first have to sign up (free) our community or just log in, if you are already a member. Before getting published, all submitted news and events will be reviewed and edited (if necessary) by our editing team. If you’re planning to visit the island of Skiathos in May, don’t miss to attend one of the hottest summer events of Skiathos: Skiathos Palace Cup! The 1st International Gay Culture Festival will take place on July 12th to 15th on the cosmopolitan island of Skiathos Greece, organized with the initiative of the Hoteliers Association of Skiathos. Twenty minutes will last the journey with hydroplane from Volos to Skiathos island and back. The Prefecture of Sporades in cooperation with the Prefectures of Thesssaloniki, Pieria and Halkidiki discussed last week the possibility of a ferry line that will connect these areas to each other and will serve the residents and tourists better.